Lockheed Martin picked a veteran missile defense engineer to lead the company’s space research organization known as the Advanced Technology Center, in Palo Alto, California. 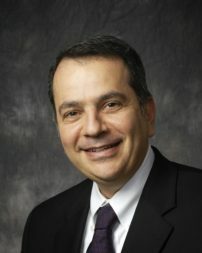 Nelson Pedreiro, formerly the chief engineer for strategic and missile defense systems and director of science and technology at Lockheed Martin Space Systems, is replacing Scott Fouse, who recently retired. Nelson Pedreiro, head of Lockheed Martin’s Advanced Technology Center. The ATC invests in technology that supports the company’s military, commercial and civil space portfolio. It is one of Lockheed’s major corporate labs, although not as well known as the more famous Skunk Works, which serves the aeronautics branch. The third corporate lab is the Advanced Technology Laboratories in Cherry Hill, New Jersey, known for cyber, materials science, robotics and data analytics. Pedreiro will oversee approximately 600 scientists and technicians spread across the country. The ATC has been in Palo Alto since 1956 and was part of the original research team that developed submarine-launched missiles, now the Fleet Ballistic Missile program. Pedreiro recently spoke with SpaceNews. What are some key areas of space research that Lockheed Martin is investing in? Missile defense is huge. Remote sensing and directed energy are big areas of focus. The Missile Defense Agency is looking for disruptive technologies. Lockheed’s space business is investing significantly in new sensors to address the entire loop: detection, discrimination, classification, targeting. In this context, a space sensor layer becomes critical. Many of the technologies we pursue apply to both missiles and spacecraft alike. Autonomy and artificial intelligence are big topics in defense and aerospace. What is ATC doing? Autonomy is an emerging area that will have applications across our lines of business, but especially in our deep space programs. Autonomy and AI make long space journeys safer. We will be talking a lot about that at the Space Symposium. Space and strategic missiles have a high degree of autonomy by nature, but we are adding higher levels of artificial intelligence and machine learning to remove humans in the loop. We think we can help free analysts from Big Data processing tasks so they can focus on decision making. Any specific project you think will have a huge impact in defense and space? It’s called SPIDER, short for Segmented Planar Imaging Detector for Electro-Optical Reconnaissance. It is a project funded by the Defense Advanced Research Projects Agency to improve remote sensing. The goal is to dramatically shrink the size of telescopes. Using chips found in commercial cellphones, we’re using them in different ways to capture light and generate an image that is very different from how telescopes work today. Last year we revealed the first images from an experimental, ultra-thin optical instrument, showing it could be possible to shrink space telescopes to a sliver of the size of today’s systems while maintaining equivalent resolution. This is exciting for space because it opens a path for extremely lightweight optical instruments, allowing for more hosted payloads or smaller spacecraft. What are you doing in solar and planetary science? The ATC developed for NASA the instrument for the Geostationary Carbon Cycle Observatory (GeoCARB) mission that will be launched in 2022 to track carbon cycles. 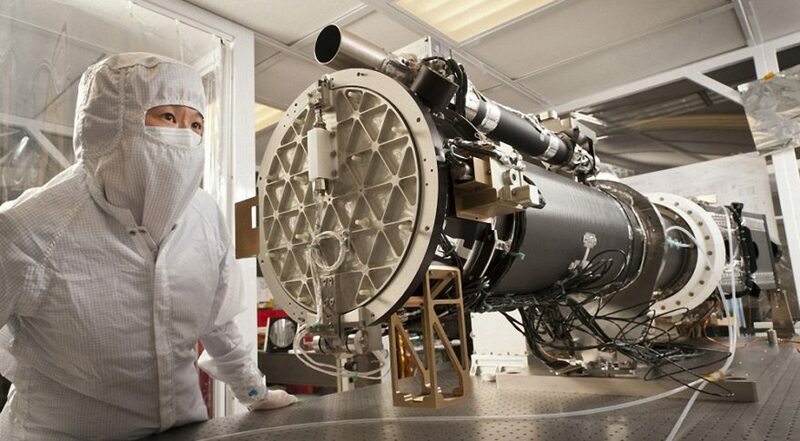 The instrument is a derivative of the Near Infrared Camera on the James Webb Space Telescope. We have built more than 100 payloads and instruments in the past 30 years. Another project is the Interface Region Imaging Spectrograph, known as IRIS, which has captured over 5 million high-resolution images of solar eruptions and the largest type of flares, called X-class flares. Laser weapons are advancing in the U.S. military. Are you working on anything new? Directed energy technology for weapon systems is reaching a tipping point. We now have prototype laser weapons that could be used to defend military bases from unmanned aerial vehicle threats. We demonstrated last year a 30-kilowatt class ATHENA, or Advanced Test High Energy Asset, at the Army’s White Sands Missile Range in New Mexico. The system defeated airborne targets in flight by causing loss of control and structural failure. Lasers also are being developed for the Missile Defense Agency as potential anti-missile weapons to take down enemy ballistic missiles in their boost phase.